At our warehouse, tracking numbers are assigned to packages and are generally available within 24 hours. However, it may take up to 48 hours or longer before the package is checked into the carrier's tracking system. Therefore, even though your package has already shipped from our warehouse and is on its way to you, the carrier may not be able to provide any information about your package for up to 48 hours or more. Please allow an additional 2-4 business days for custom printed items to be created prior to shipping. When you click on “Track Order”, you will be prompted to log in with your e-mail address and order number. An order summary page will provide you with detailed information about your current order or past orders. After your order is shipped, your tracking number, if available, will be displayed. Depending on the shipping company, you can click on the tracking number to view the delivery status of your order. A shipping company may not have the ability to track a number for up to 24 business hours. 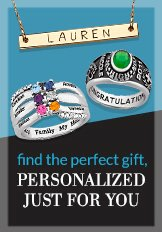 Orders placed on LimogesJewelry.com may be delivered by one of several different carriers and shipping methods. Therefore, tracking availability may vary depending on the type of item you purchased, the shipping method you selected during Checkout, and the carrier that is delivering your item(s). After you have clicked "Send My Order", your order begins to process and you cannot cancel or change your order. Our system is designed to fill orders as quickly as possible. Once you receive your order in the mail, simply return any items you do not want by following our Return Instructions. Please note: personalized items may not be returned unless damaged or defective.